Despite only being launched in late 2010, Windows Phone 7 has clocked up an immense volume of apps thanks to the support of developers and early adopters. The Windows Phone Marketplace reached 10,000 apps in a shorter space of time than both the Android Market and iPhone App Store, and is currently chock-a-block full of good quality paid and premium apps for all manner of purposes, from enhancing productivity to increasing your device security. Get More Apps for Your Phone! 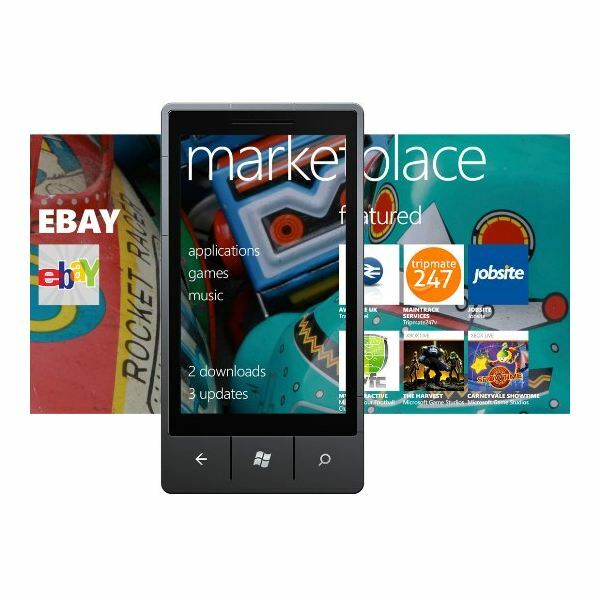 In order to find apps for your Windows Phone you will need to access the Marketplace Hub on your phone. Finding and installing apps on this platform is next to effortless, just as updating and removing any apps that you no longer need is done with a single tap. Despite rumors to the contrary there are no limits on installing apps on a Windows Phone, and thankfully installation issues can be dealt with very easily. Anyone interested in developing apps for Windows Phone can get started with a very useful tool for building basic apps that fulfils useful functions without relying on the complicated SDK. However if you’re more interested in full-blown development a Windows Phone SDK is available! Download Apps, Games and Music with the Windows Phone Marketplace! Are there Limits on Installing Windows Phone Apps? One of the first things you should check on the Windows Phone Marketplace is the number of utilities that are available, such as password managers and remote desktop tools. Many flashlight apps can be downloaded and you’ll never be short of ways to illuminate dark places. Meanwhile despite the native online calendar tool, several other calendar apps can also be found for measuring time in various ways. If you’re a regular mobile web surfer then you should perhaps consider a password manager for keeping your accounts secure in the event that your phone is stolen. You don’t have to use your Windows Phone for phonecalls, as you will of course know, but the amount of apps available goes beyond social networking and handy utilities. Most Windows Phones have a sizable screen that is ideal for reading, and there are several news readers and comic readers available for the platform. A Kindle app is provided by Amazon for reading books, and you can also take advantage of several blogging apps if you’re interested in updating your website while you’re out and about! What Are the Best Windows Phone 7 News Apps? Read Books on Windows Phone 7 with Kindle! You’ve got a mobile phone – so why not use it outdoors? There are so many ways in which you can take advantage of your phone while you’re enjoying life outdoors from apps that make use of GPS and localization technology to checking the weather. Alternatively while you’re outside you might be looking for a way to check your location in a map application or find yourself in a situation where you need to make an international call via a Voice Over Internet Protocol service. Also don’t miss the great selection of apps that can be used to help you track your fitness and outdoor activities! A phone is naturally a social device, and social networking is hardwired into Windows Phone. Windows Live and Windows Phone 7 are integrated into the platform’s infrastructure, but this doesn’t mean that an official Facebook app isn’t also available. There are also many Twitter apps that can be downloaded to use with Windows Phone, although the official app is possibly the most reliable of these. Several instant messaging and dating apps are also available. Which is the Best Windows Phone 7 Twitter App? A common use for smartphones is the enjoyment of multimedia and Windows Phone offers plenty in this area. You can watch videos natively or with third-party apps, just as you can tune into local radio stations on the FM band or via Internet radio. Several YouTube apps are available on Windows Phone as are image editing and hosting services, ideal for anyone who uses their phone for snapping lots of photos!